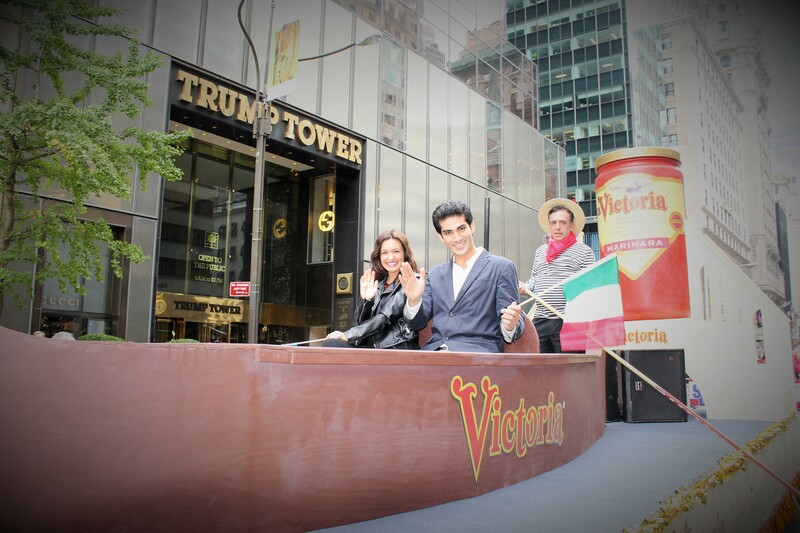 Italian Heritage Spice Things Up on 5th Ave. 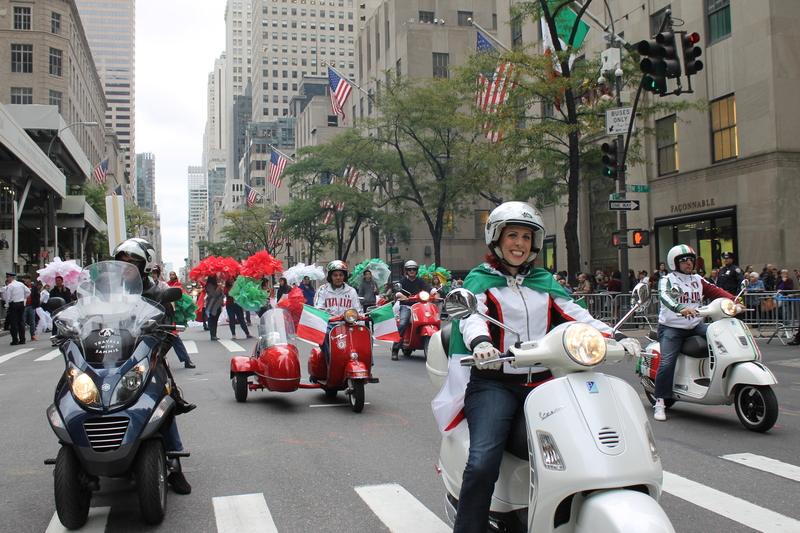 Following the previous days celebration of Hispanic culture on 5th Ave., Columbus Day was a day to celebrate Italian heritage and contribution to the city and to America. 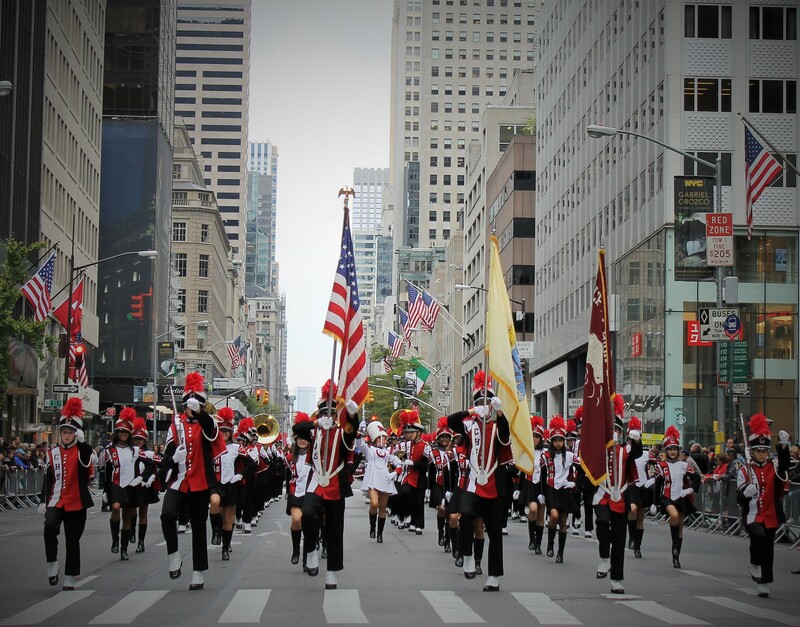 Since it was an official vacation day there were hundreds of thousands of revelers eager to see fancy cars and their friends marching in some of the best local high school and collegiate marching bands in the tri state area. 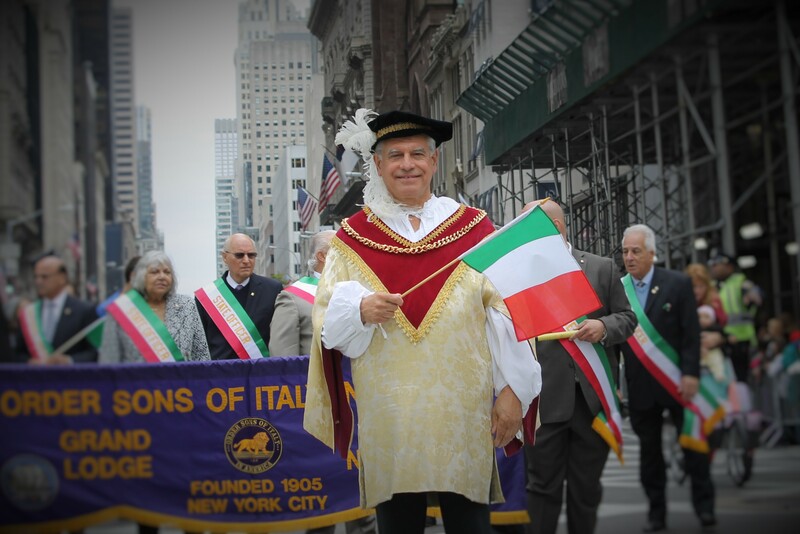 This being an election year, plenty of politicians were gathered to gain support for the upcoming elections including Italian descendant, NY Gov. Andrew Cuomo. 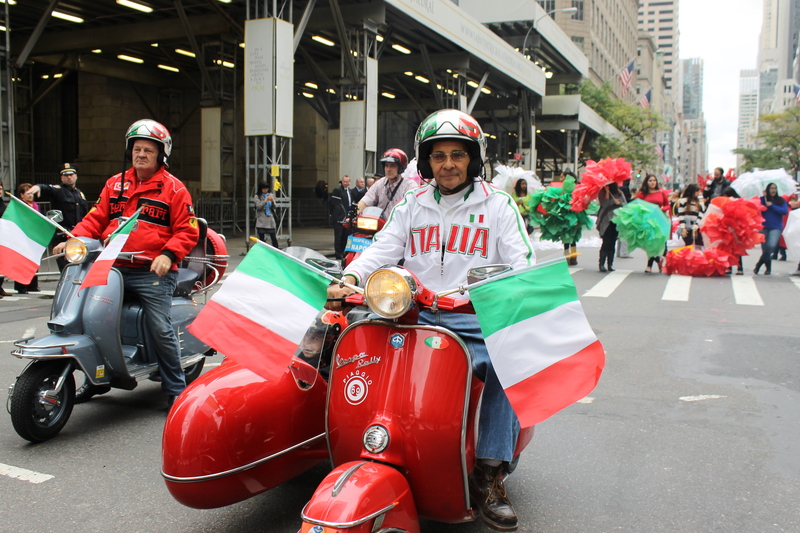 After parade VIPs and politicians marched up the parade route from 45th to 69th Sts., the fun started with Italian cars and plenty of Italian groups representing their heritage. A float with speakers blaring Sinatra’s New York, New York made me feel like I was in Yankee Stadium after a Yankees win. 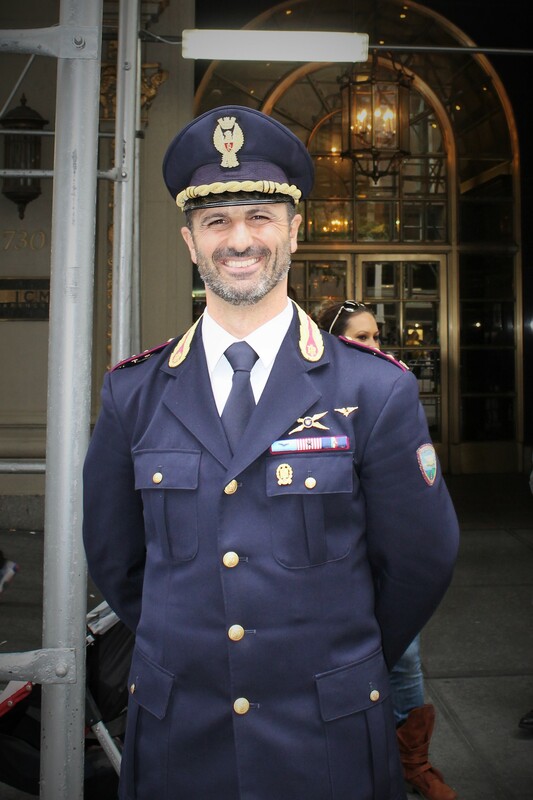 It was always a treat to see Italian police officers and firemen showing a kindred spirit with their counterparts from New York. 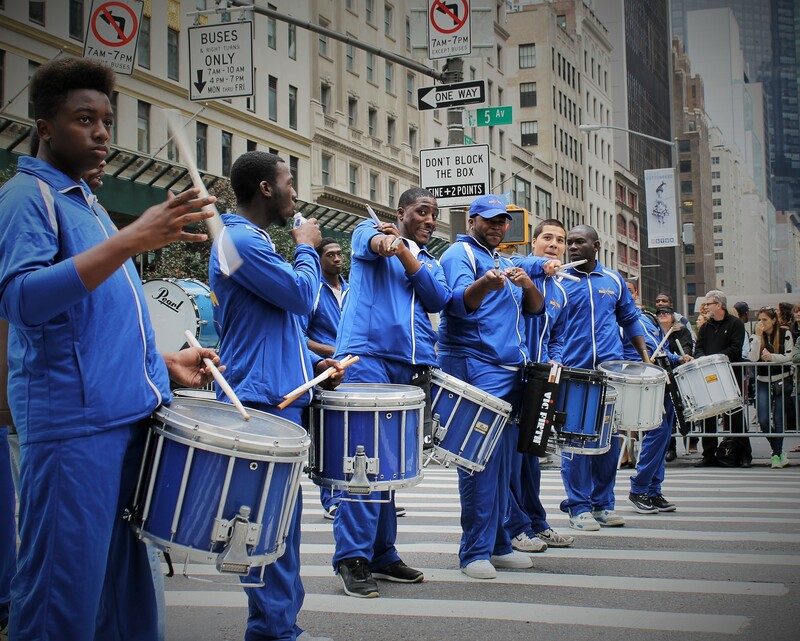 One of the better show marching bands came in blaring their loud horns and tight drumline. Stoney Brook U Seawolves made an impressive appearance to get the crowd worked up for a fun-filled day. 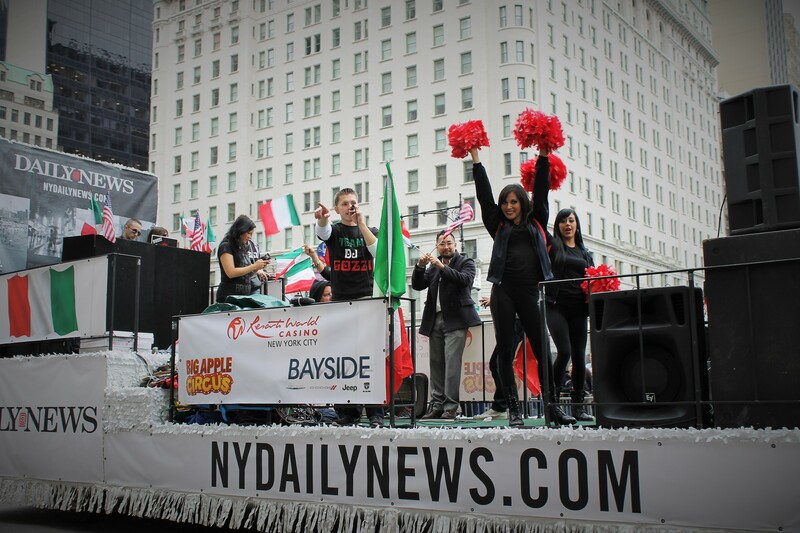 Fighting back to be heard over a loud float blasting Volare and other Italian-American classic hits, the enthusiastic XFactor Drumline from Mt. 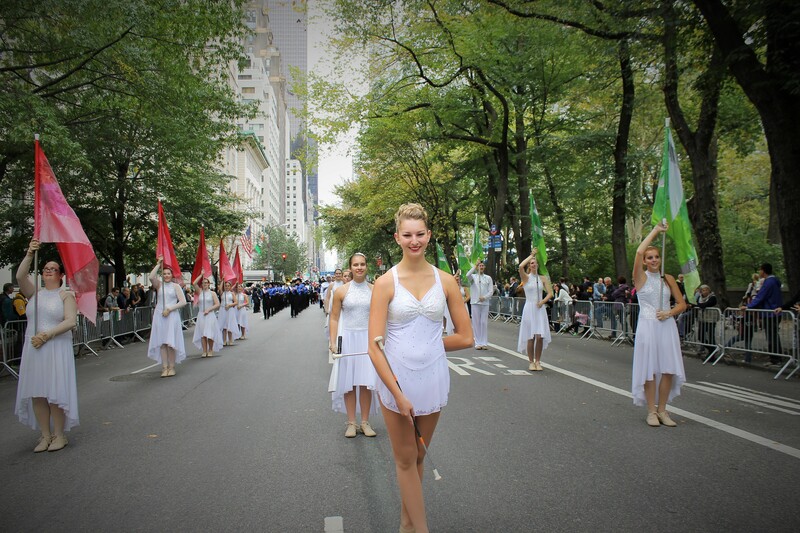 Vernon NY showed why they are a crowd favorite. 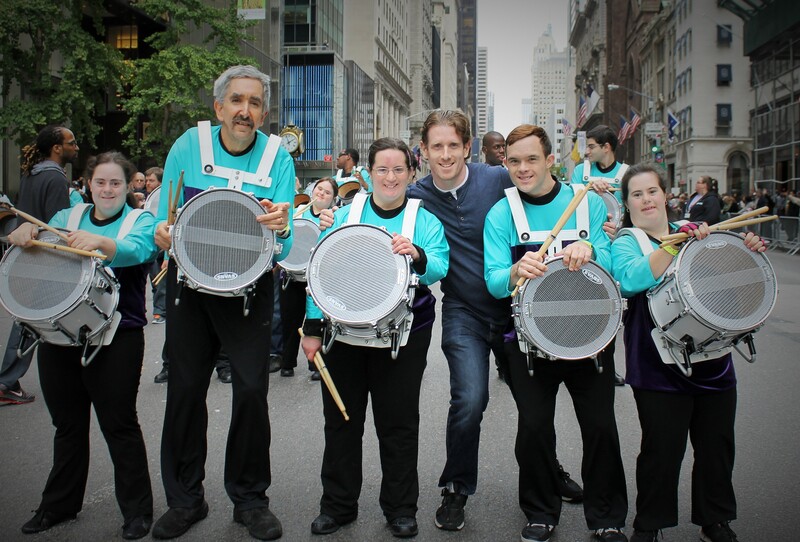 They got some competition when the drumline from Dover, NJ made their way down the parade route. 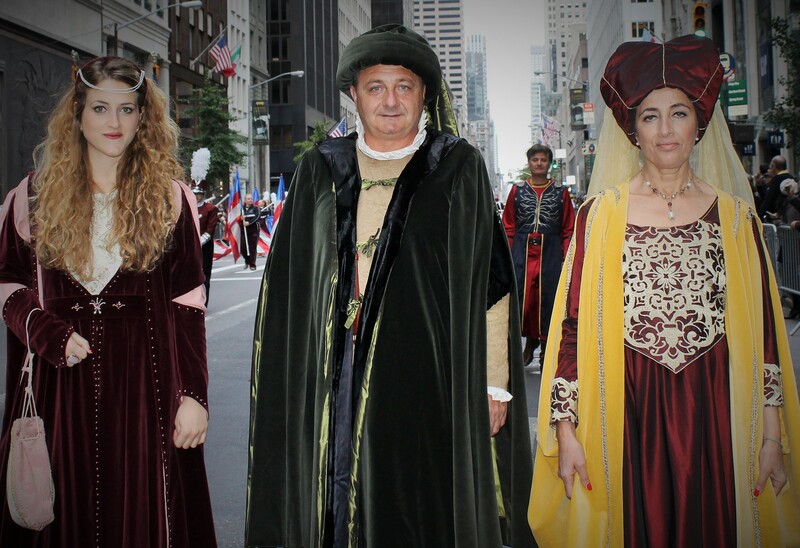 Not everyone agreed with the benefits of Christopher Columbus landing on America. 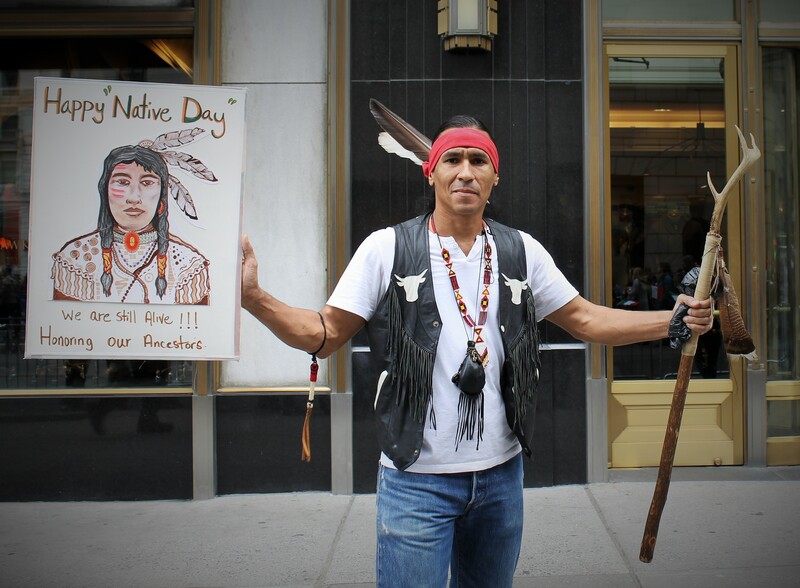 Parade protester, native American Eagle Sun, carried signs expressing his protest over the celebration and urged to have it changed to Native American Day as an honor to his ancestors. 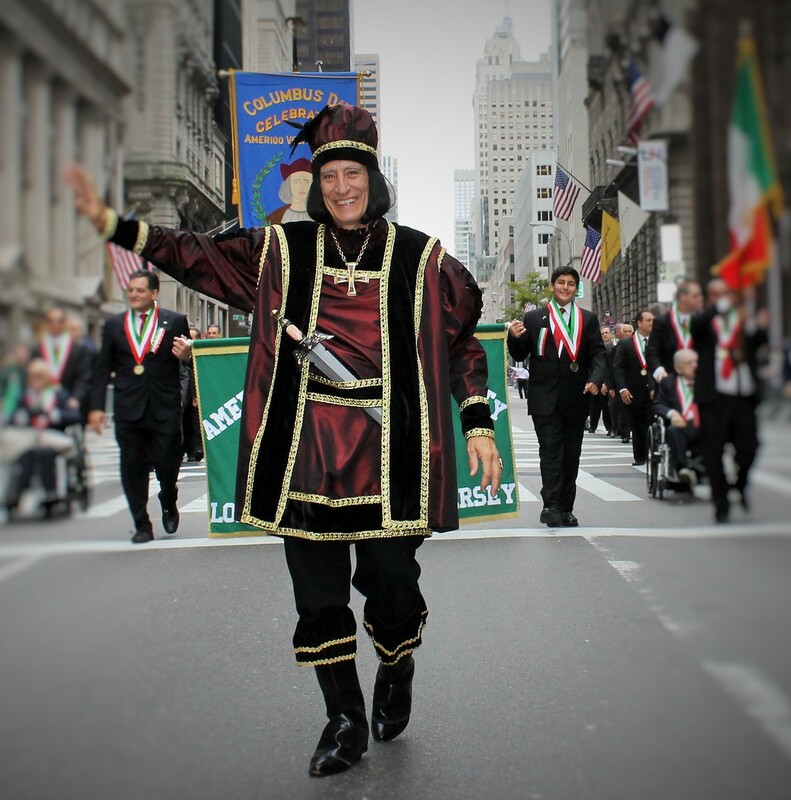 I have joined the movement to change the name of the parade to the Italian Heritage Parade and not celebrate a pillager and character responsible for the beginning of genocide on this continent. 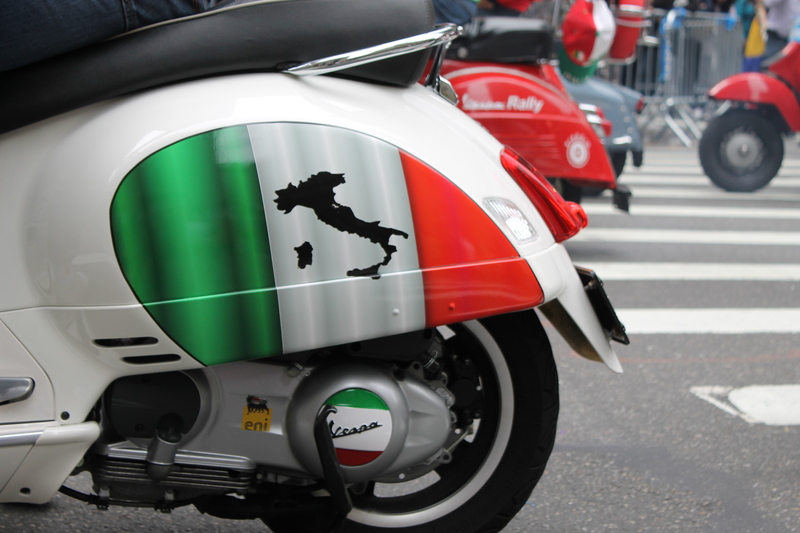 Italians have been an integral thread in the fabric of this great city since the Great Immigration movement from the 1870s to 1920s and helped create small and large businesses and some of the best cuisine the city offers. 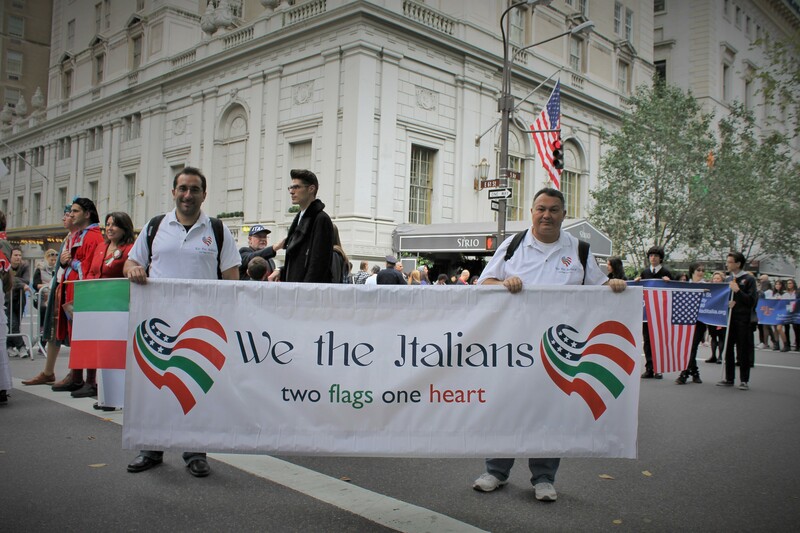 The connection to the motherland, Italy, has always been a major theme of this parade and many groups displayed signs mashing the two flags, Italian and American. 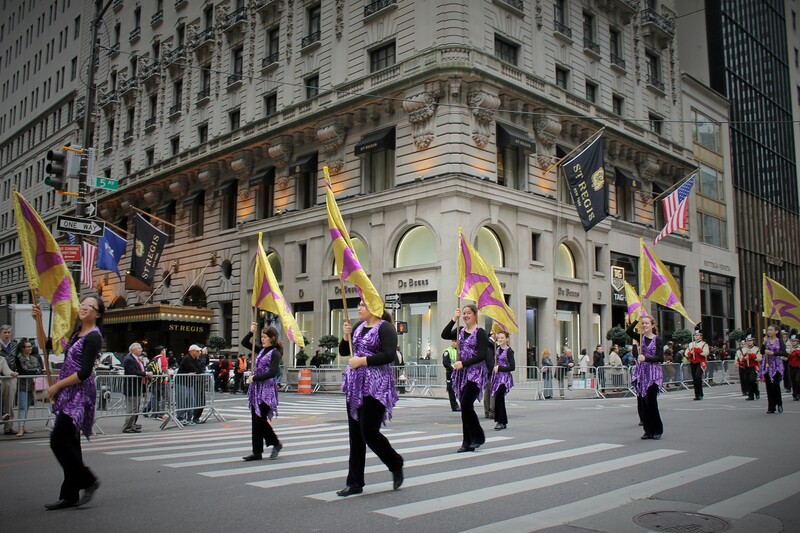 This parade is also a prelude to the many top bands set to appear in next months Veterans and Thanksgiving Day parades. 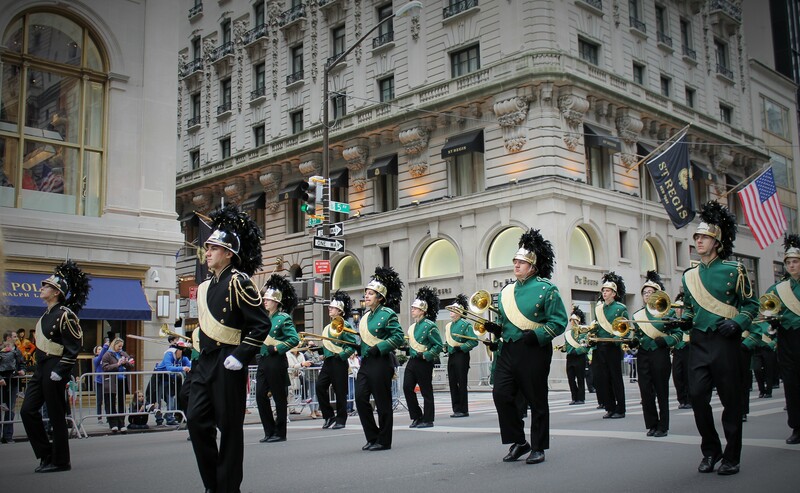 A top band appearing were from Connetquat HS from Bohemia, NY. 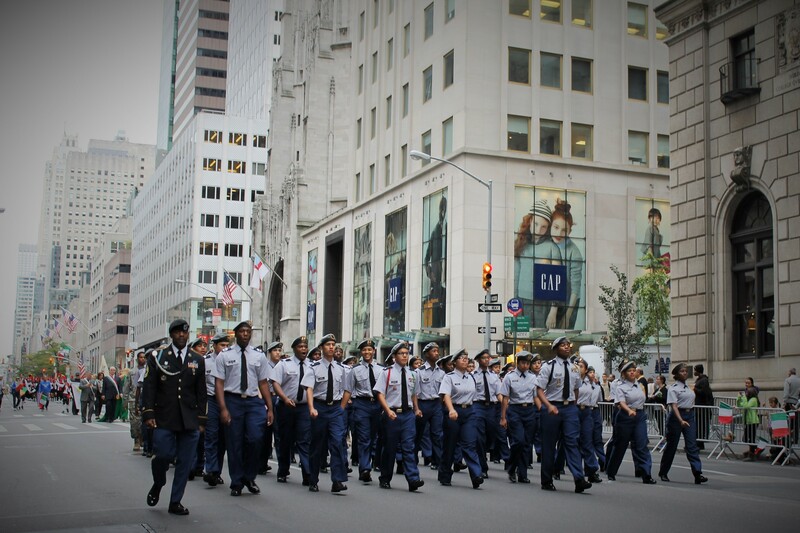 They set the tone for the rest of the day. 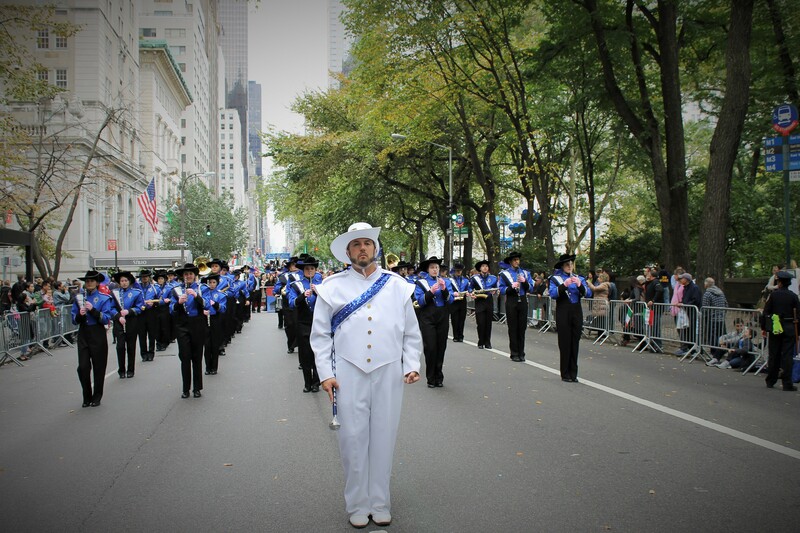 A band that stole the hearts of many viewers were the first autistic marching band ever to appear. Another band that made some noise were from North Hunterdon, NJ. 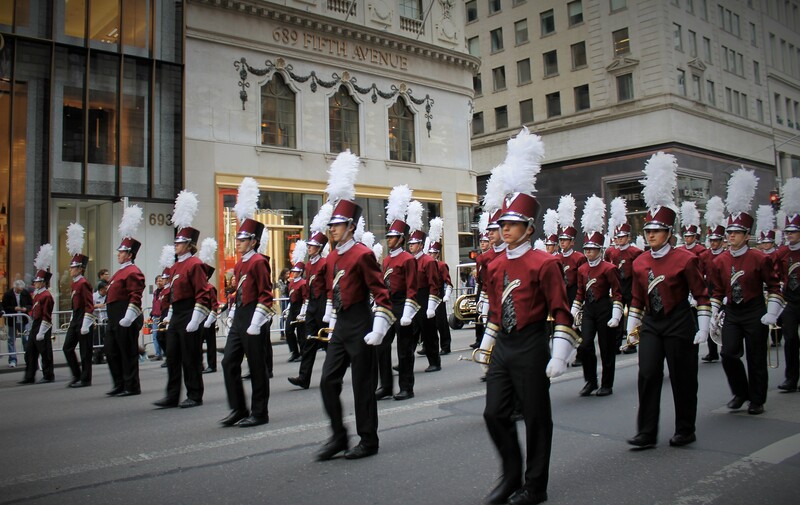 A show band that made the crowd smile came from Clifton HS marching band. 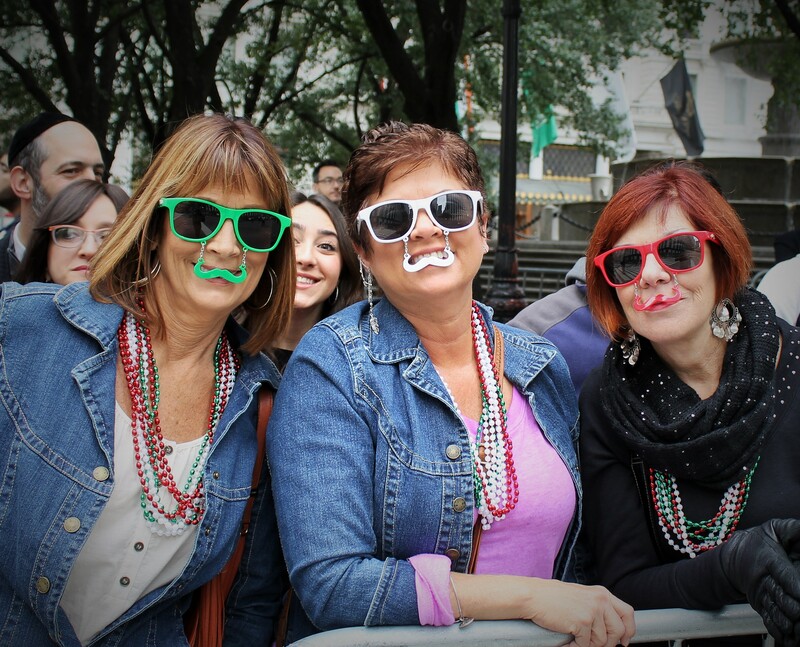 Their march made them appear to part of a Christmas story. 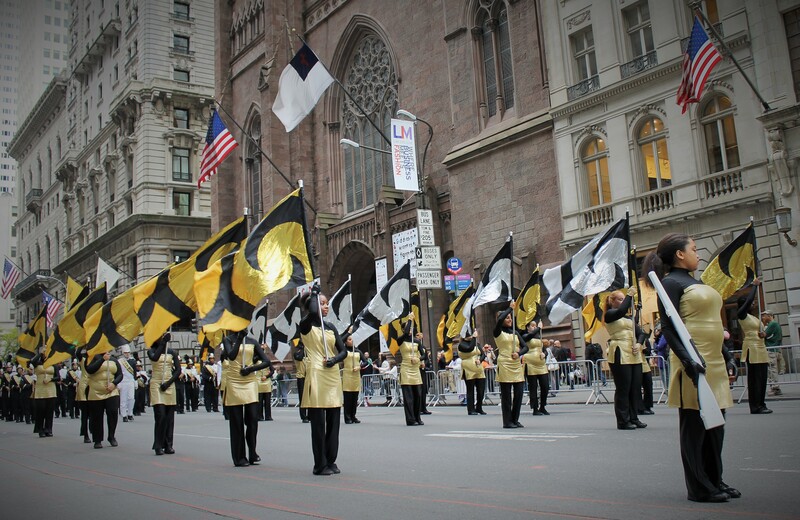 The marching band from Brewster NY were one of the happiest bands to play. 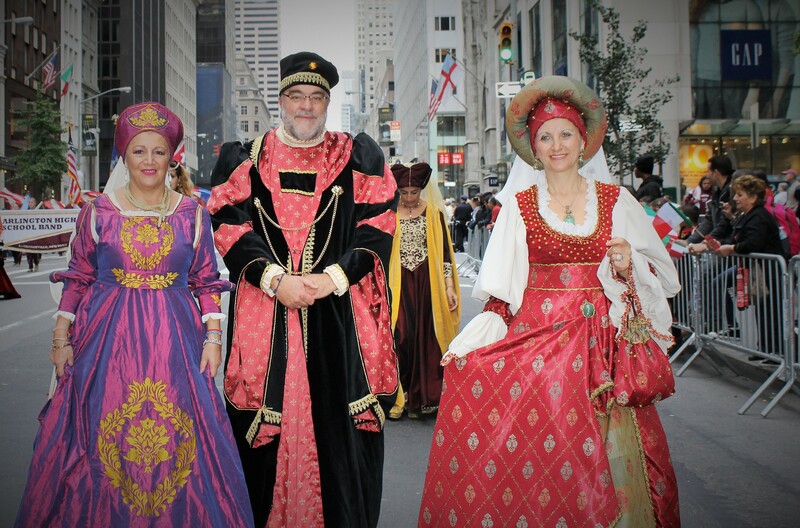 Italian marchers dressed in medieval costumes gave the viewers a feel for what things may have been like in Italy during the Renassaince Era. They were fun to talk to event though we understand each other, so I just gave them the universally understood thumbs up for a great costume. 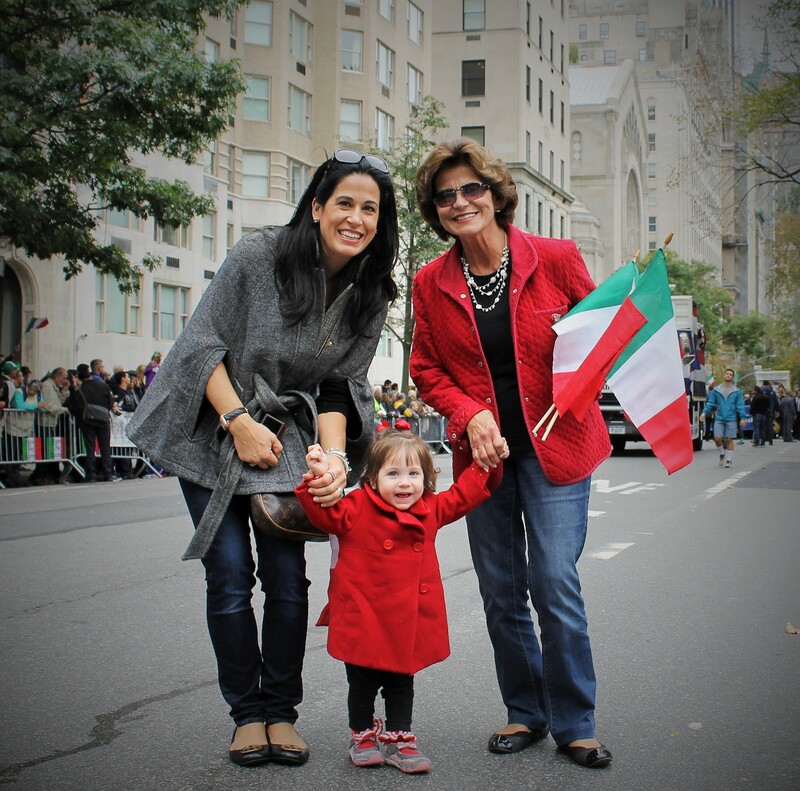 This was a fun parade and it was great to see multi-generational Italians have a blast at the parade. 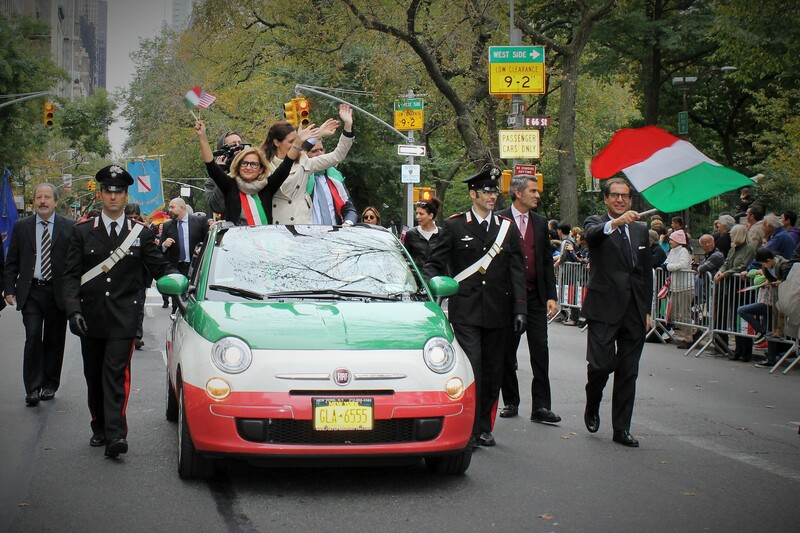 The trifecta of weekend parades came to an incredible end with a festive celebration of Italian culture and contribution to America in the 67th annual Columbus Day Parade on 5th Ave. Rachel and I took in all the excitement as the crowd was eager to see Italian pride and heritage on display for all to see and no one was disappointed. 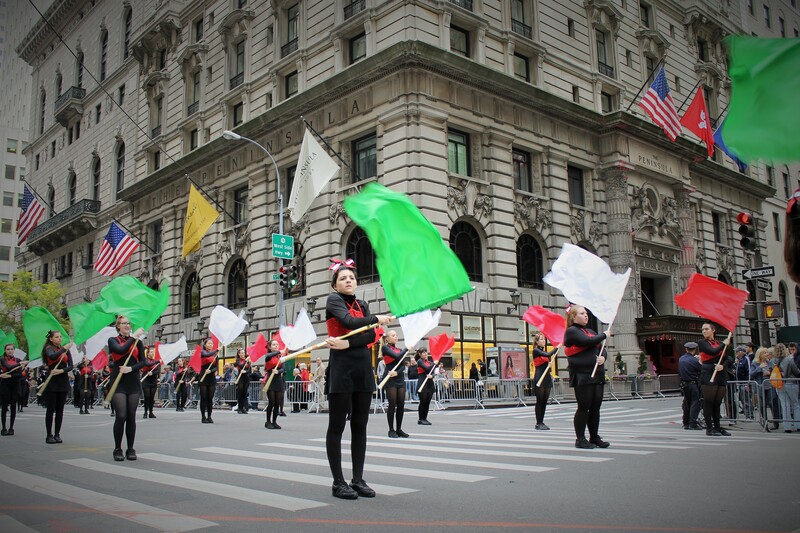 The event is the largest display of Italian American culture and globally televised for millions of viewers. 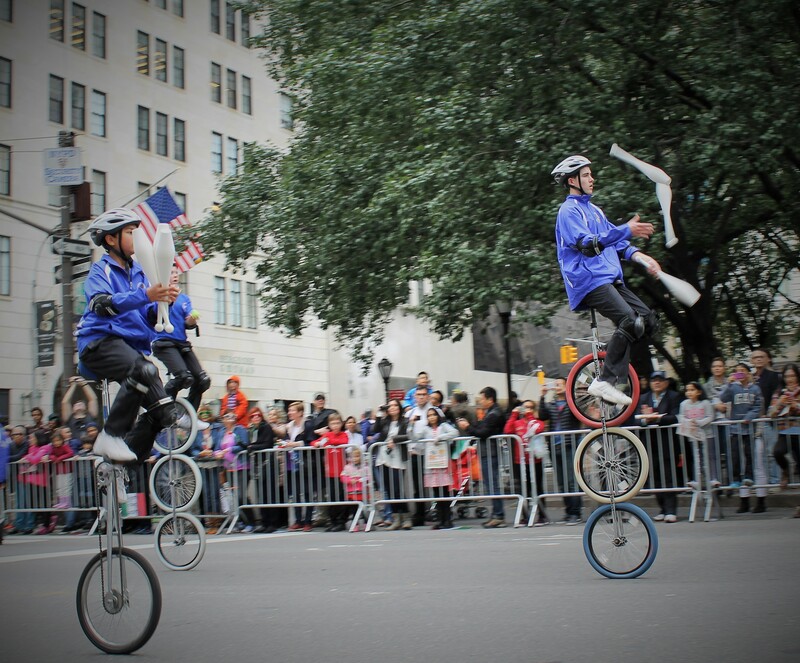 The parade officially kicked off when the mounted police rode up 5th Ave. and soon followed by the Honorable Mayor Bloomberg and Police Commissioner Raymond Kelly. Although these two titans of NYC life are beloved by many, they were getting things warmed up for NY Governor Andrew Cuomo who worked the crowd like a rock star. 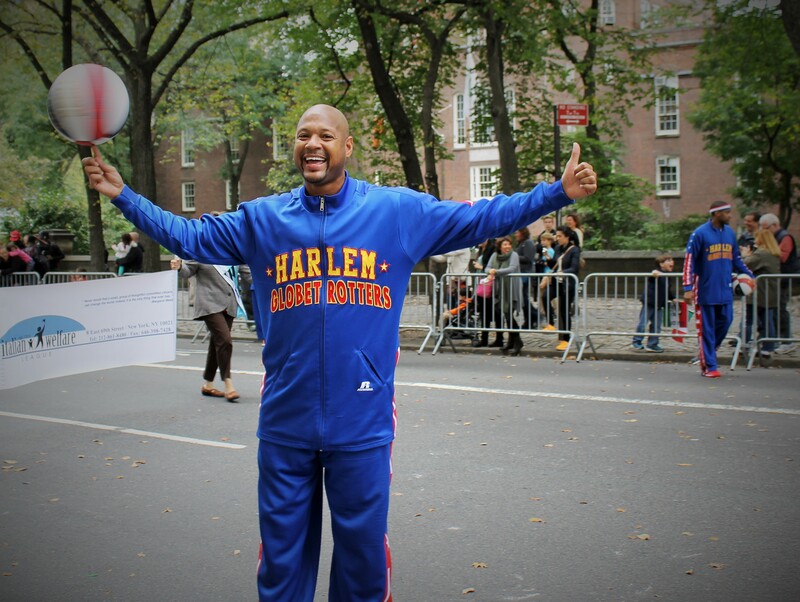 He stopped and shook hands of many spectators and walked proudly up 5th Ave. to cheers. 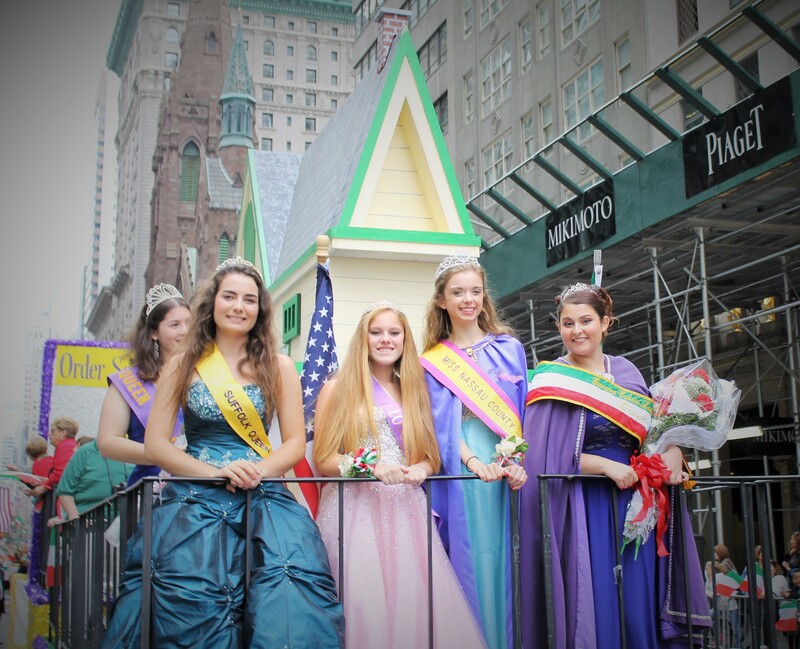 Parade sponsors, Columbus Citizens Foundation, appeared with their float and got the crowd ready for a fun-filled day. 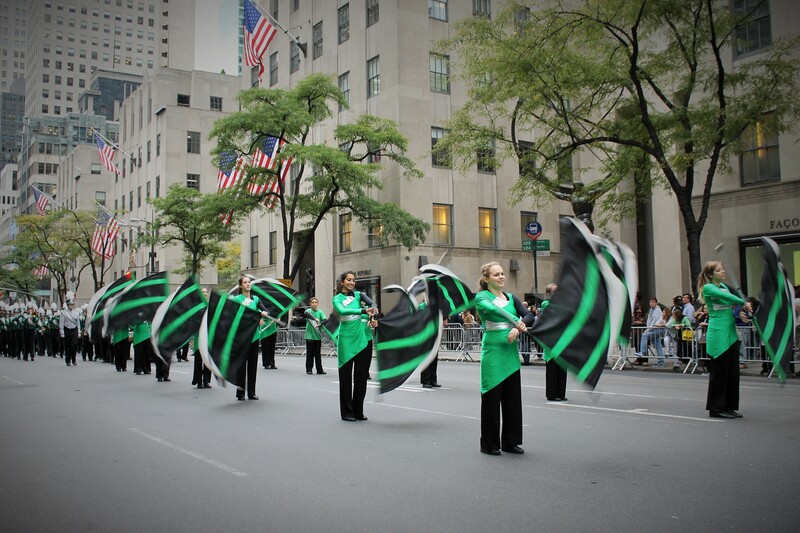 A parade just isn’t a parade without a marching band and there were more than you can twirl a baton to. 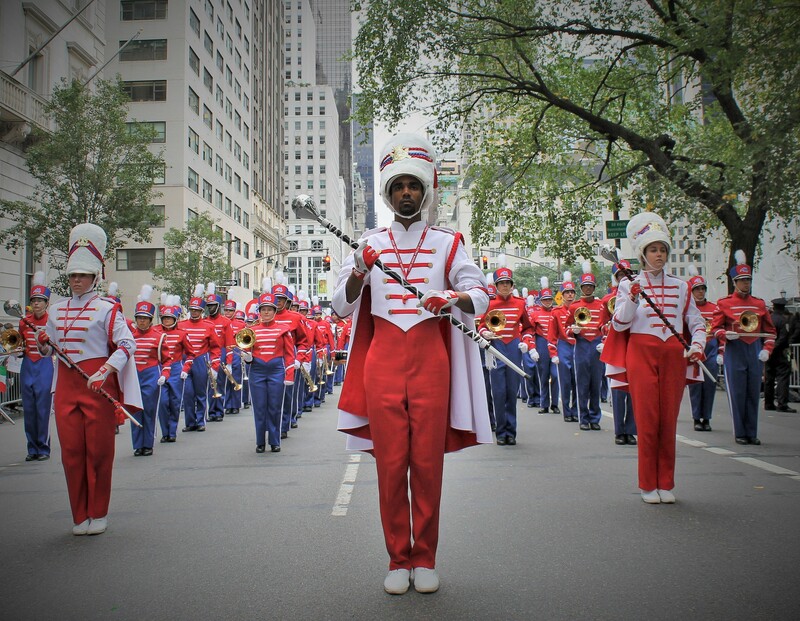 One of the first to open the parade was the impressive East Meadow Marching Band followed by the Stoney Brook University Seawolves Marching Band. 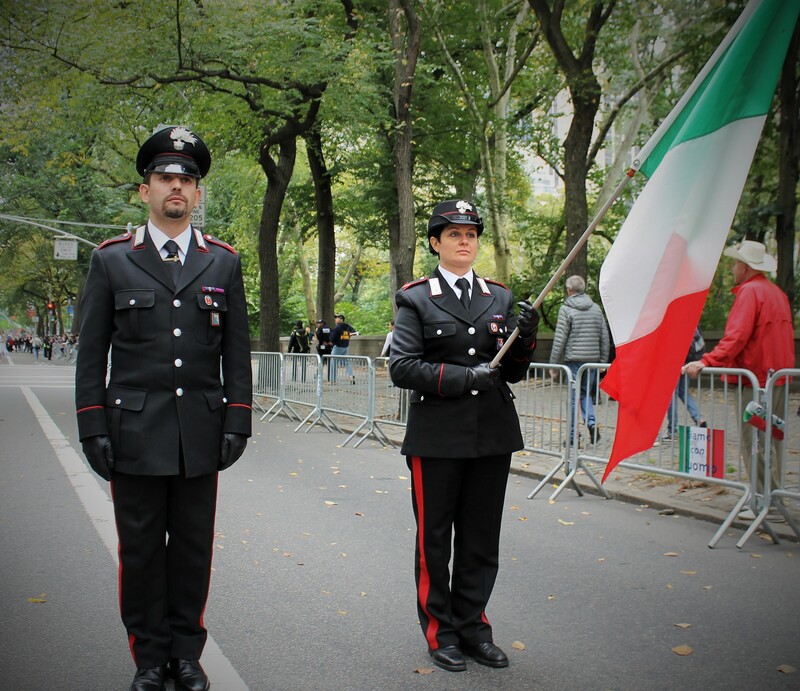 A definite crowd pleaser were the firefighters from Genoa Italy and their vintage fire truck. They came to pay homage to the First Responders on 9/11 and share in the brotherhood that firefighters embrace from all parts of the world over. The blaring sirens got the crowd cheering and set the stage for the Nine float of the dancing ladies, even though there were only eight dancers each one more lovely than the next. 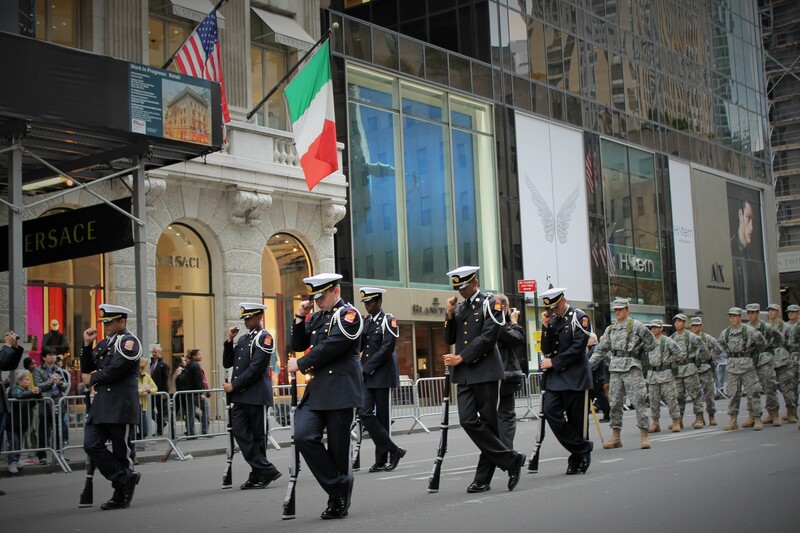 They were followed by Miss USA 2011, Alyssa Campanella, as she was driven in a navy blue Maserati. Not sure which one looked nicer. 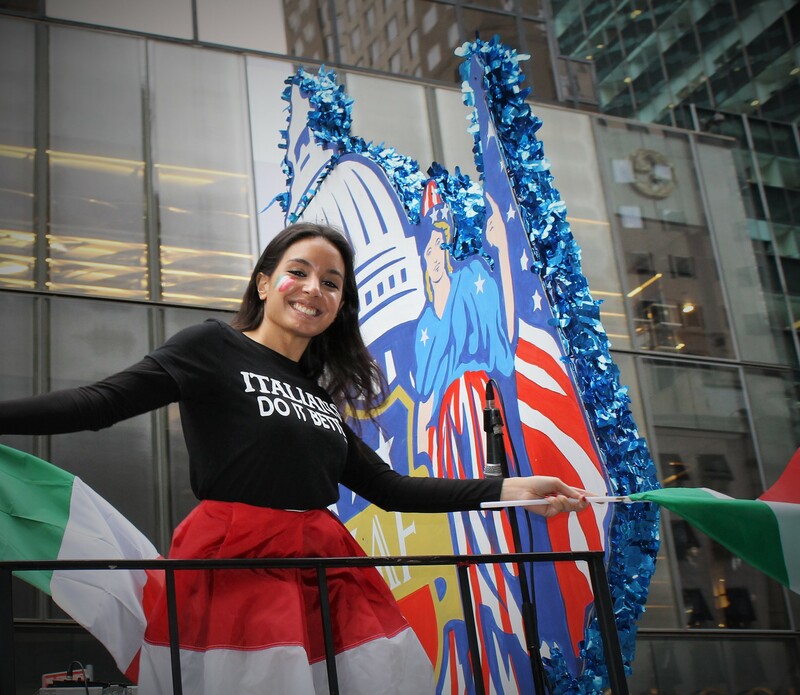 American Idol star Pia Toscano arrived in her float with her songs coming from the loudspeakers as her fans applauded and sang along. 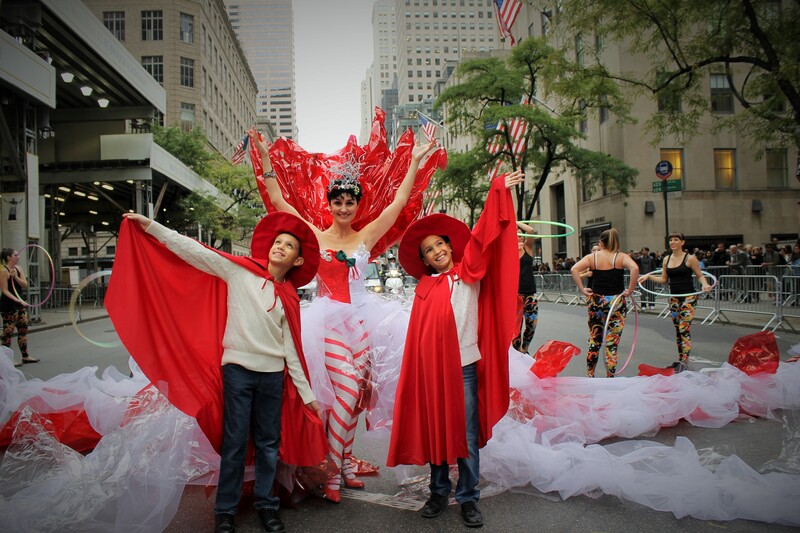 A child favorite was the Italian Fairy singing Italian songs and dressed in a colorful costume with one of the longest trains in the colors of the Italian flag. 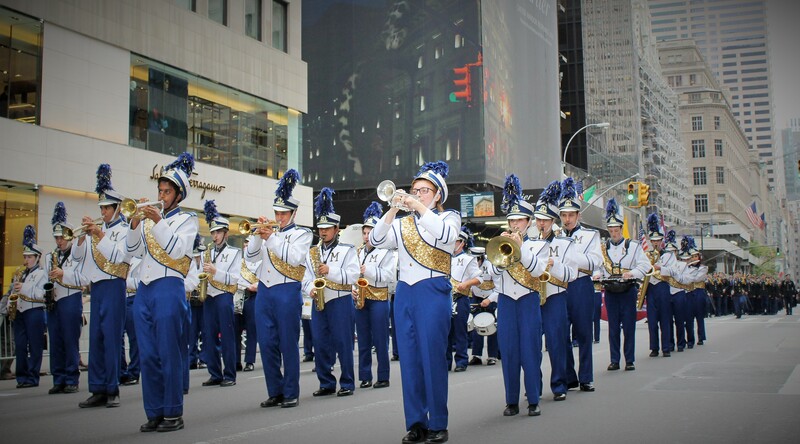 Connetouot HS Marching Band got the crowd worked up some more while the West Islip HS marching band played Taio Cruz Dynamite to perfection. 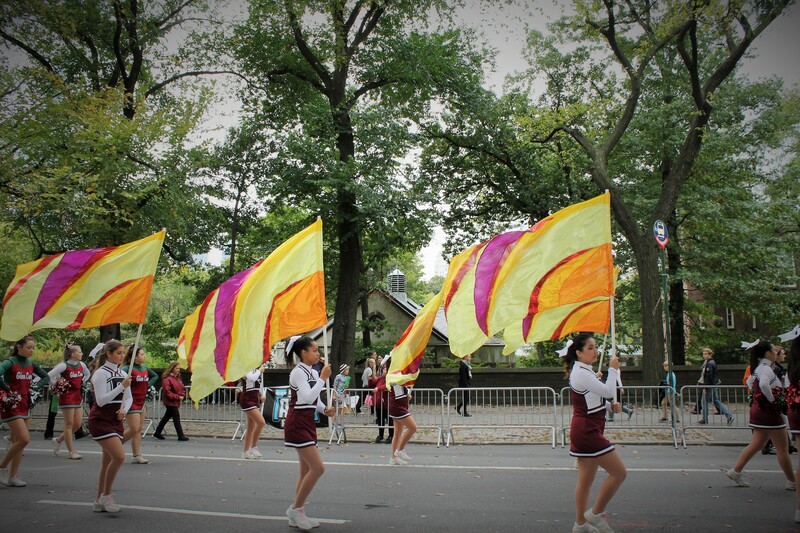 Then the marching bands just kept coming..one seemingly better than the other. 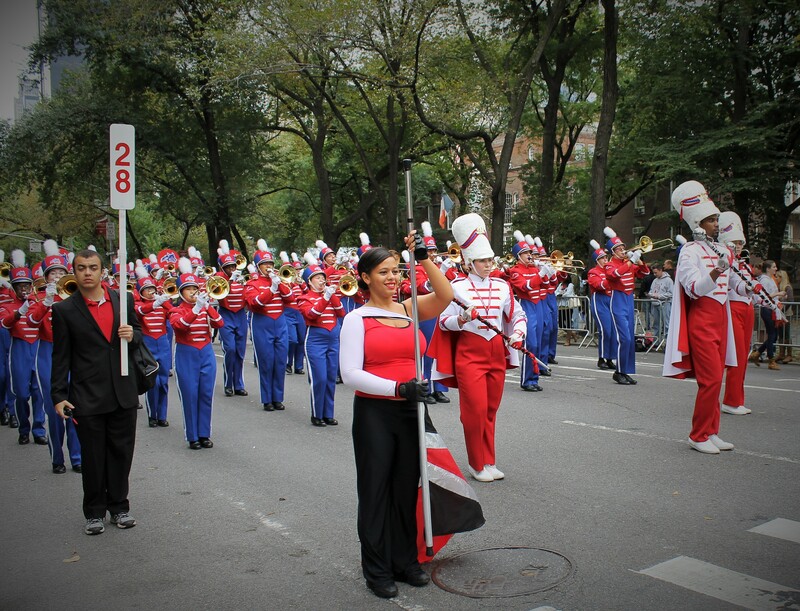 Next up was the E. Tresper Clarke Marching band followed by Sewanhaka Central Marching band. Tough to decide who had the edge as they were both amazing. 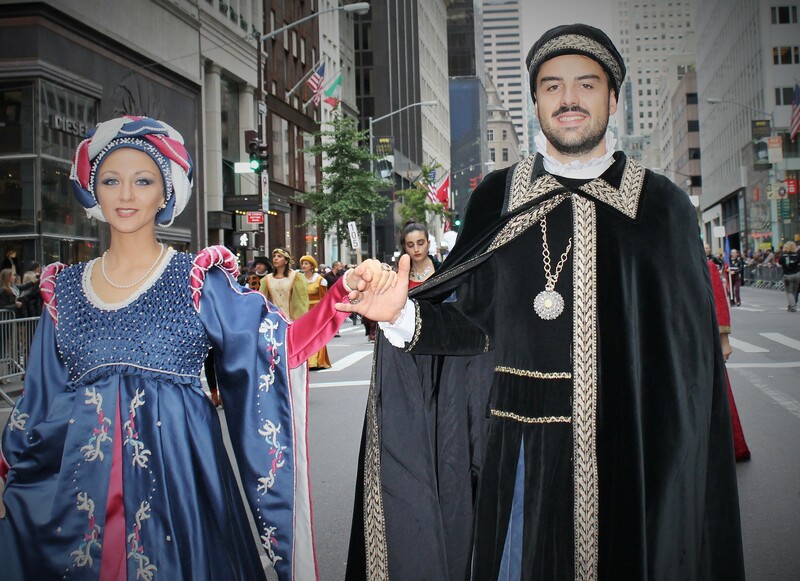 It’s always great to see visitors from the native country come visit and participate in the parade. 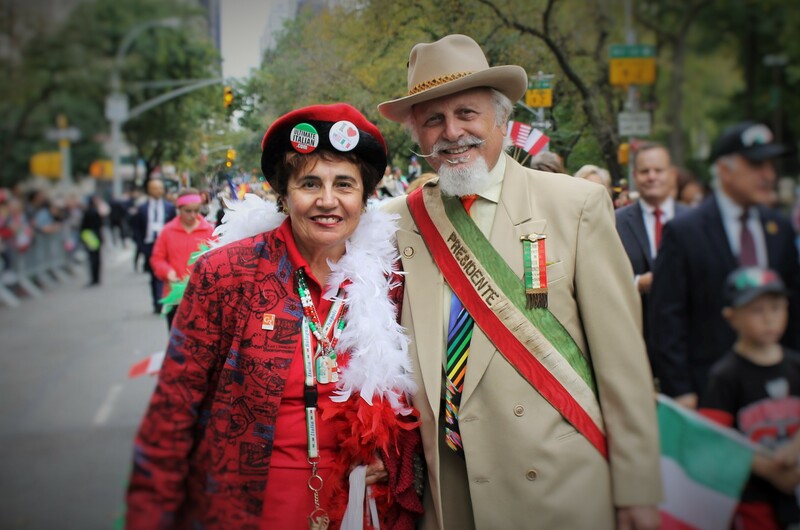 An Italian choir, Coro In Congendo, marched their way up the parade route singing native songs. 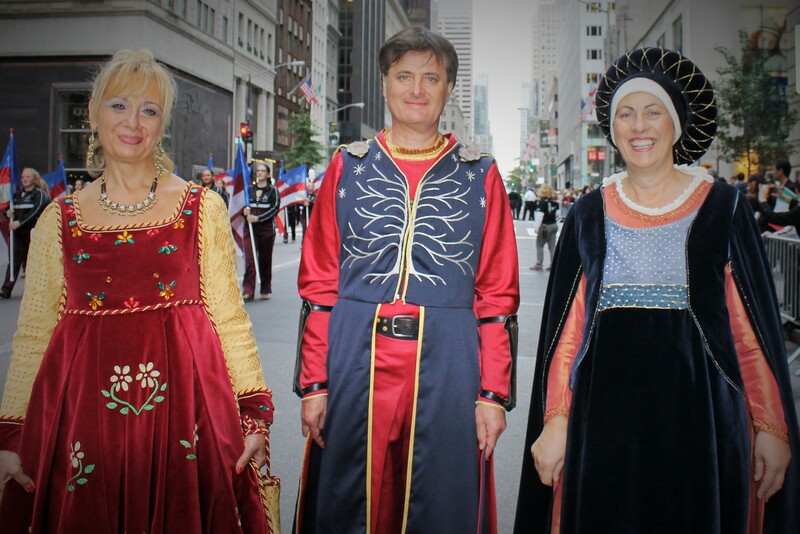 A folk band, La Damigiana, played festive songs with instruments hardly seen here in the US. 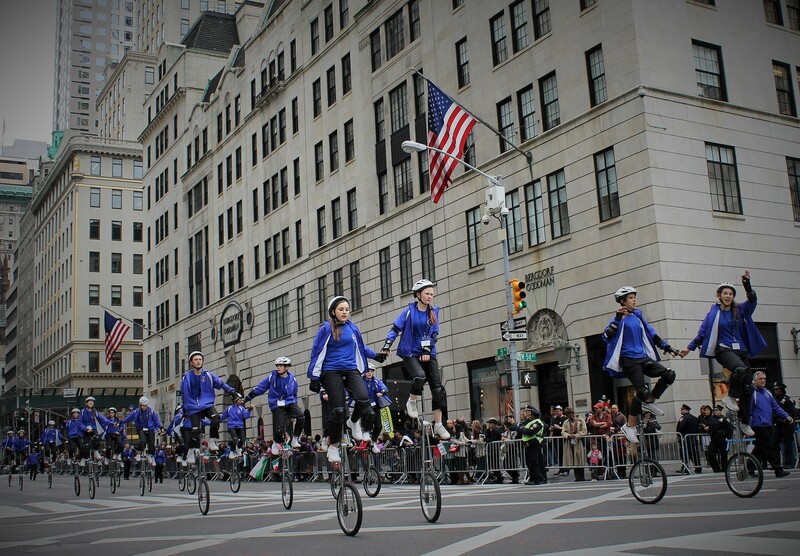 They were a crowd pleaser with their upbeat music and even got Archbishop Dolan to have some fun. 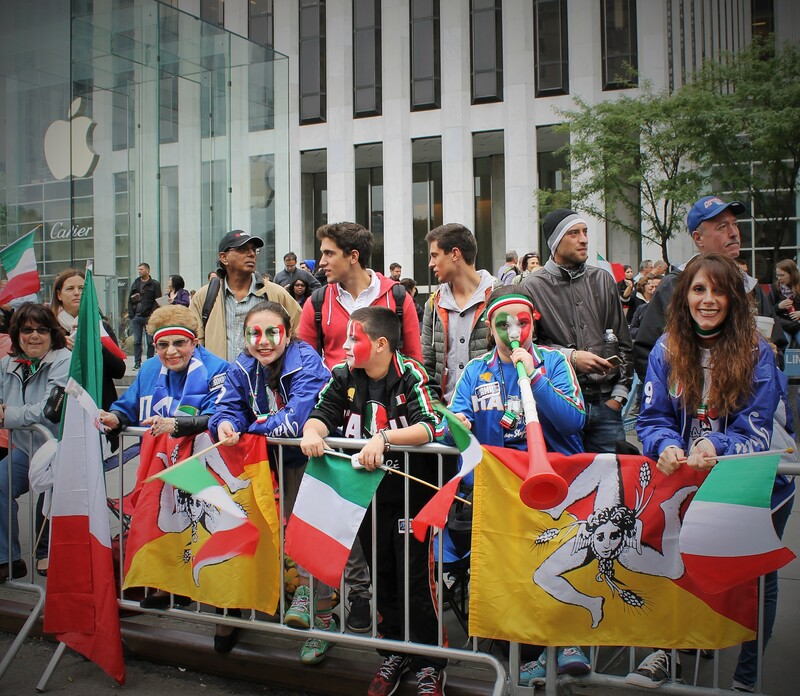 Rachel and I met up later and agreed the Italians spared no expense to make this one of the premiere parades of the city. 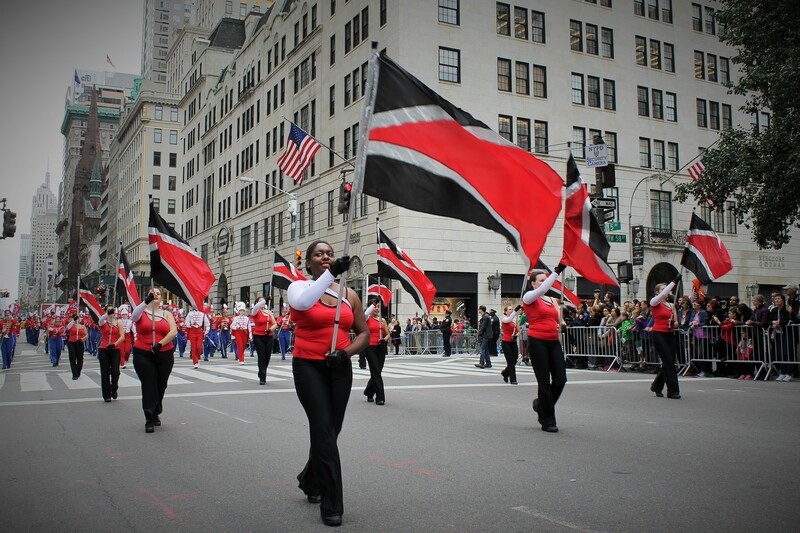 Some of the over 500,000 spectators were treated to some of the best marching bands in the tri state area and a flavor of Italian culture.. I was even tempted to take slice from a woman’s pizza hat.